One application can access a service exported by another application. As you can see, there are a many interactions. Testing in a old-fashioned way (by creating an app for every test you have in mind, installing it on your device and running the test-app) is very time consuming, so it’s not really a solution. Here is where Drozer comes into play. Drozer is an ambitious project developed by MWR InfoSecurity. Although it is a Swiss army knife kind of tool, I will focus on how it can be used in order to start with an exported activity. First of all, you need to install Drozer. You can do so by going to the official page and follow the instructions, or you can download Appie – a set of tools created for mobile penetration testing, it contains a portable version of Drozer. Second of all, you need to install Drozer Agent on your mobile device. The mobile device does not need to be rooted. Drozer Agent is an Android application that requires minimum privileges (internet access only) and acts as a bridge between the Drozer install from your computer and your mobile device. You can download it from the same sources as mentioned above, keeping in mind that the Drozer version and Drozer Agent version should match. a real-world application, I’ll use for this demo Firefox for Android – installed from Google Play. run app.package.list -f firefox to find a list of packages that contain the string “firefox”; we found org.mozilla.firefox. 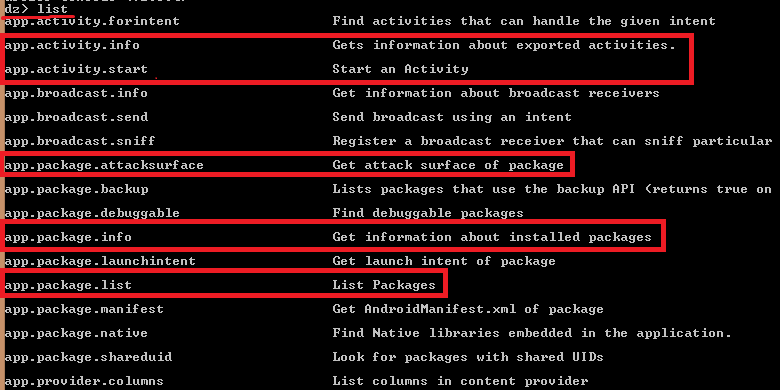 run app.package.attacksurface org.mozilla.firefox to identify the attack surface for our application; we found 113 exported activities, 12 exported broadcast receivers, 8 exported content providers and 1 exported service; this is a good example of a big attack surface. run app.package.manifest org.mozilla.firefox to extract the AndroidManifest.xml file for our package (to find details about the exported activities). 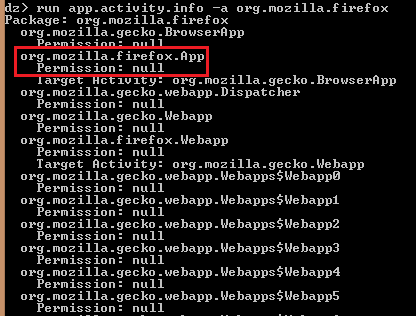 run app.activity.info -a org.mozilla.firefox to list the exported activities; we can see that there is an exported activity named org.mozilla.firefox.App that does not require any permission to be started. 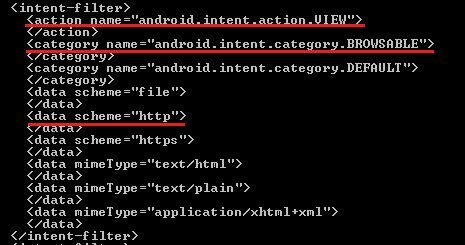 By analyzing the AndroidManifest.xml file that we previously retrieved, we can see that org.mozilla.firefox.App is defined as an alias for web.mozilla.gecko.BrowserApp activity and that it has multiple intent filters (an intent must comply with at least one filter in order to start the activity). 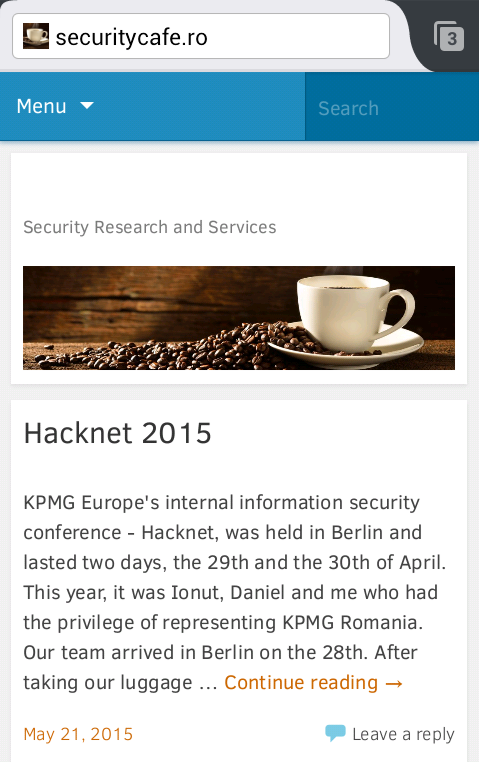 run app.activity.start –component org.mozilla.firefox org.mozilla.firefox.App –action android.intent.action.VIEW –category android.intent.category.DEFAULT –data-uri http://securitycafe.ro to start an activity. As a result, Firefox opened a new tab on the mobile device and navigated to a really cool website. So, what happened? The short story is that Drozer Agent, an application without special permissions installed on our mobile device, can start activities that were exported by other apps. And this is just the tip of the iceberg. What if the activity requires special permissions to be started? If the activity is protected from one of the permissions listed here, then we can build our own Drozer Agent with extended permissions. 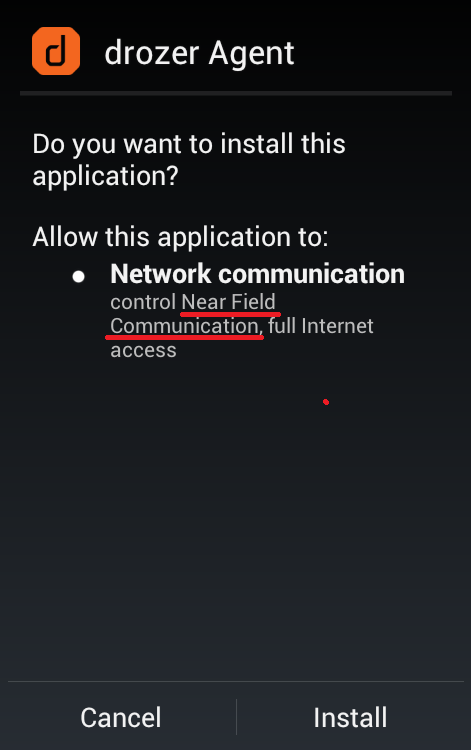 It is not impossible for malware apps to get installed with extended permissions, most users will accept any permission request without reading them. Should a lantern be able to take pictures and videos with my camera? No. Should a lantern be able to download data from the Internet? No. Should I allow a lantern to have full network access? No. Should I allow a lantern to modify my system settings? Of course not. That is just an example, but it illustrates really well how you can’t tell if an app is harmless or not, judging only by the permissions it requires. 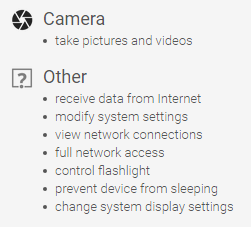 So, if a Flashlight app gets installed on more than 100.000.000 devices with extended permissions, then it’s safe to assume that malware will get installed on victim’s device with some permissions; it would look suspicious if the malware app wouldn’t require any permission at all. If we install the newly built Drozer Agent on our mobile device, we will notice that it requires the added permissions. After installing the new Drozer Agent, we can follow the same steps, described in this article, to start an activity that requires specific permissions. In the end, I’d like to point out that Android features a complex security model and, sometimes, complexity is the worst enemy of security. Having in mind all the interactions that are possible between apps, we should test in depth the security of the apps that we build. It’s better to be safe than sorry! Nice and to the point write up. I have one question that , i want to test android application that is installed on my android phone. I have drozer agent in my device and drozer on windows 8.1 (attacking machine ) also and both works fine. I am facing problem in the “adb.exe forward tcp:31415 tcp:31415” step. From where i can download adb.exe , i tried but it was showing no device found error. 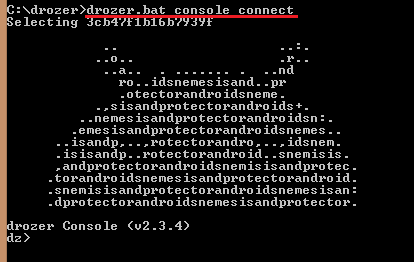 What should I do so that I can connect drozer to drozer agent on port 31415. You can download ADB from here: http://adbshell.com/downloads, but I recommend you to install Android Studio with all USB drivers, it will also contain adb. Make sure you have your phone connected to your computer via USB. Also, make sure that the DROZER agent is running on your phone and you don’t have apps installed that could block the communication (antiviruses, firewalls etc). On your phone, you should also have USB debugging enabled. Depending on your phone and version, you can find it around here: Settings->Developer Options->USB debugging. Could you please help me on how to get in to the drozer prompt ? Java is not recognised while running drozer. Could you please help me out on this ?